I cannot believe that more than half the year has already gone and that we are already into August. Do you remember that at the beginning of the year, you promised yourself that you would do another full year of my 365 project? And that each month you would share your monthly themes along with any learning, successes and failures culminating in a feature series with 12 chapters? Do you remember writing? What I didn’t know when I first wrote this, is how easy it is to stray from the path or break the promise to oneself. And the biggest culprit? Travelling? Who would’ve thought it! It’s not just about the time away from home. It’s more than that. In the past, my attitude has been that travelling is the perfect opportunity to stock up on photos to use on my project. Despite all the travelling, I have done this year (Botswana, Namibia and New Zealand), I have stalled – I’m not posting every day, so I have massive holes in my calendars. I feel disconnected and uninterested. My project is not vibrant or alive. I’ve not written a post for June to add to this feature series because my June posts were not themed and sporadic. I’ve failed to do what I wanted. I feel like I’ve lost my way – again. I believe that we can always learn from our mistakes and our failures – right? I know that I’ve learnt something from my recent travel photography efforts and how this translates to my 365 project. Here’s what I think. I take way too many pictures. Digital cameras and smartphones make it too easy. We snap away, take multiple shots of the same thing and end up with a humungous pile of snaps. I came back from my recent New Zealand trip with just over 1100 photos taken on my DSLR and phone. In the days of film, I may have come back from a trip like this with 3 or 4 films (maybe 150 photos). That’s a huge difference. This is where I started to feel overwhelmed and can you blame me? All of these 1100 photos needed to be copied to my computer, imported into Lightroom and processed. The rubbish ones must be deleted; the images worthy of further work must then be tagged, rated and processed. Some will even end up as black and white, so more processing will be required. And they need to be backed up. You will be pleased to know that I have reduced the 1100 photos to 652. But in the back of my mind, I’m still asking myself: how many is a good number to keep? How many will I actually use in different places? I tell myself, that yes, 652 is still too many! So I continue the process of reducing the number of shots daily. Honestly, I’m fed up with it. I’ve lost interest. I shoot in RAW. The files are large (over 25MB each) – they take up a crazy amount of disk space. I knew that many of the shots I took would be used to illustrate a point in a blog post, or as a reminder of something I saw. Not all of them are meant to be landscape or wildlife masterpieces. They do no need to be the highest quality for further processing. How does one really use 652 photos? Honestly? I have selected a handful that represent a daily highlight of the trip. So that makes up about 11. I’ve chosen others to explore places in depth. Maybe 50 altogether. Some have been used to illustrate blog posts (let’s say 50 to be generous). A total of about 110 images: 10% of the original amount. Gosh, that’s an interesting statistic – good to know. Like I said, that at this point in time, I am sick and tired of looking at them and trying to make decisions about them! I know that I have some fabulous shots in there, but I cannot be arsed to do anything with them. That makes me sad. Because I’m bored with them, I feel like I’m wasting an important opportunity – its not every day that you get to go to New Zealand! Perhaps a break from them will help. That’s a good question… and for now, I think I have two responses. Ones that will help me feel I haven’t wasted this opportunity. Do you know what? I think it all comes down to my focus. For a while now my project has been about searching for Everyday Delights: finding the extraordinary in the every day. I’m discovering that I like to do that as it happens, in real time, not retrospectively. By doing it afterwards, it’s just an image attached to the day in the calendar. When I do it on the day, it feels like an achievement and a true reflection of my life. So I think it might’ve been more fulfilling to capture and post a photo every day whilst I was travelling, rather than doing it after I came home. That way, it would be more real and would represent the “Everyday Delight” for that day. Be more discerning about how and what I take and why. When I take a shot, think more about the composition and type of image I want to end up with and take one or two shots, not ten (hoping that one will be OK). Use my technical skills and knowledge of my camera to get it right the first time. I’ve kept a travel journal on my last two trips, with themed pages and these have helped me remember so much more than my photos. In a way, the photos are now visual reminders of the detailed notes I made. Next time I travel, I will journal again and perhaps I will only take photos that help me remember what I’ve journaled about. After all, these may be the thoughts that eventually become a blog post. Also, I’ll focus on a daily Everyday Delight shot by being ruthless about capturing the essence of the day. Just one photo. So maybe, my recent trip to New Zealand has not been a waste of time from a photography point of view. Not all learning has to be hard – through pain, struggle and loss. As Sarah Ban Breathnach says, sometimes it’s the gentlest lessons that teach us the most. This is a gentle lesson and there has been learning for me. PS: To read other features in this series, have a look at the list at the end of this post. Hey Dark Horse…I saved this link so that I cld savour it on a peaceful day. It’s lovely “hearing” you even though I don’t get to see you in real time. Your pics have always inspired me…I am clueless as to what is “technically correct” but you capture the beauty you see and each one of those pics is a visual reminder of your heartbeat. Yes I too take a number of pics…hoping for a good one …but then I like something about each one and yes my phone and laptop get overwhelmed and scream and thrash and eventually just shut down in protest. This of course forces me to clean up and choose what I REALLY want . 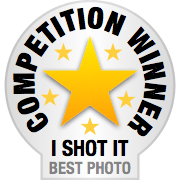 Are you on a photography site that give royalties? no matter how small at least the beauty u capture cld be shared (esp if finance is not a major problem in yr life). I love the one shot a day thing you did …or even when you capture yr day in 11 pics …its a great peep into your day. If you could somehow find time in each day to “wash yr dishes” regarding yr pics …pethaps thinking of it as a daily task …just throwing out what seems like excess to you…each days work a quick clean out …and throwing into a studio file for later processing …it cld minimise the real work load later. like any artist …only work on processing the art when you want to..when you are inpired …and leave it alone if you aren’t …sometimes we have seasons of no travelling and chilling in bed …then its nice to process art. Remember yr pics will live longer than you and each one set up online will live on for many to enjoy. I am humbled to think that you learn from me, and pleased as punch too of course! CA you write so well “each one of those pics is a visual reminder of your heartbeat”- I love that phrase, thank you for sharing it. Everyday moments, awareness and discernment are my cup of tea and practise. I hear you. I didn’t realized so much involve in having a library of photos and I am just starting. Thank you for sharing your thoughts and experience. You are a great teacher that I can learn from. Hey Perpetua. Thanks for the lovely comment and for indicating that you could learn from me. Tell me a bit more about what you are just staring – blogging, photography? If it’s photography, check out my Journey into Photography page if you haven’t already done so.